I have decided to add this Post from my Personal Blog to my Coaching Site, as Communication is a Vital part of Coaching. Communication plays a vital role in human life. It is described as sending and receiving information. Among people. This can be Face-to-Face in real life. Written in books, newspapers etc. Or snail mail and email. Communications exist also when you use Telephone, Skype, Webinar etc. etc. And we should not forget Sign Language. For written language, it is important that the writings are without errors. Both your own as a foreign language. When you are not native nobody recognizes it when you say exsist (I know, not correct written :) ) instead of exist. Only when you write it, most will see the error. Google translate and other programs are pretty good at translating words. Although they make mistakes often. And sometimes you have to be ashamed of the translation. Words normal in one language can be insulting, or sexual, in another. And there is no correction of grammar. No mentioning where there should, or should not be a comma. But for that there is GRAMMARLY. 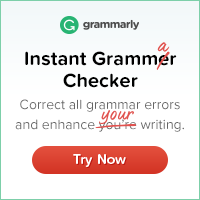 Best Plagiarism Checker & ProofreaderThe World's Best Grammar Checker. I am Dutch and although my English writings aren't that bad in my opinion, I make mistakes. Mostly I say "en" instead of and. Or "of" instead of or. Mistakes which I only recognize after re- and re-reading. Because these words exist in English also, other programs do not recognize the mistake. 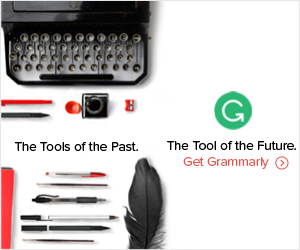 Grammarly does, because of the grammar error. It comes with a Free version and a Premium version with several plans. There is also an extension for Chrome. Easy isn't it? At the moment there is only an English version. Since the beginning of the internet & the development of the mobile devices, communication changed a lot. And not only communication. The whole world. Where in the past it took a few minutes in a restaurant to view the menu and to order. Now, research says it takes about 20-25 minutes. Everyone wants the waiter to make a photo. Or they are making selfies (best with the most narcissistic item on the world "a selfie stick") and have no time to look at the menu. Making and posting the selfie(s) is more important. Imagine you are a hardworking restaurant owner. In his case, he will lose a certain percentage of his income. Every day because people stay longer in his restaurant. Because they order so much later, they leave also later. Meaning the table is occupied and can not be used for new customers. How would you like that when you owned the place? My tip. Order first (you have to wait at least 10-15 minutes after ordering) and make your selfies in the time that you are waiting. According to research, Humans started talking in a unique and complex form at some point between 50,000 and 100,000 years ago. But how this happened is subject to debate. Although Humans are the only species who developed a spoken & written language. It is known that there are certain apes who are able to learn sign language. Their vocabulary is not that huge as that of humans, but they can learn it. Early Humans did not Mumble and Grunt. Important is that at a young age, researchers think before the 6th or 7th age, children should learn to talk. When children do not learn to talk and this person didn't learn to talk until an adult age, it will be difficult to learn to speak. And not only to speak but also understanding that items are named by words. But also that the word for a table is a table and not a chair. For deaf children, it is even more difficult to understand this. Children who are growing up in healthy circumstances, and are healthy, learn to talk easily. And are able to learn a second or third language very easy. Which will make them bi- or trilingual. They have an advantage with this their whole lives. The language developed, probably, because it helped Humans to survive. Although the spoken language developed between 50,000 and 100,000 years ago, The History of the Written Language only started about 3200 years ago. We all know the hieroglyphs from the Egyptians. When the written language developed the grammar developed also. And it still develops. Languages without a developing grammar are called "Dead Languages". There are about 6500 spoken languages in the world. Some spoken by a few (dying languages), others by many. A united humanity in the generations following the Great Flood, speaking a single language and migrating eastward, comes to the land of Shinar (?????????). There they agreed to build a city and a tower tall enough to reach heaven. God, observing their city and tower, confounds their speech so that they can no longer understand each other, and scatters them around the world. The most spoken languages are Chinese, Spanish & English. The least spoke are Hanti, Ongota & S'aoch. When we talk about the language we need to know that there is Verbal (with words) and Non-Verbal (without words) communication. Verbal is clear I think. It is the words you speak. But also your voice, and the tone of your voice. Non-Verbal is your Body Language (including the expression on your face). According to research, 7% of our communication is Verbal, 38% Voice & Tone, and 55% Body Language. In other words, it is not what you say, but how you say it. "C'est le ton qui fait la musique". For all Face-to-Face communication, it is important to remember this. When you do not have a Face-to-Face communication, it is very important to write clearly. How many messages (e.g. SMS) are misunderstood, because it wasn't read as it was meant to be? And even after 100,000 years communication is still developing. And still is difficult.